Players will be able to use Stadia across a variety of platforms such as laptops, TVs and mobile phones. 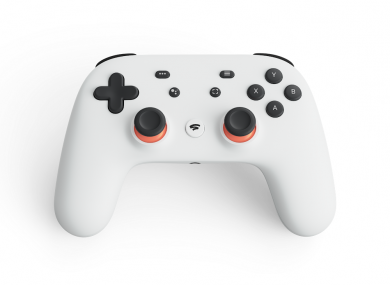 GOOGLE HAS TODAY unveiled a video game streaming platform called Stadia. The platform will store a game-playing session in the cloud. It will allow players to use Stadia across devices operating on Google’s Chrome browser and Chrome OS, such as TVs, laptops, tablets or mobile phones. Google said its aim is to make players favourite games available in resolutions up to 4K and 60 frames per second with HDR and surround sound. The platform will be launched later this year in countries including the UK, US and much of Europe. No exact release date has been confirmed. Google has also unveiled a new controller that can be used to play cloud-based individual or multiplayer games. The WiFi-enabled controller has a button that lets players launch a microphone and use Google Assistant to ask questions about the games being played. Another button lets users share gameplay directly to Google’s video streaming service, YouTube. “Using Google’s vast experience, reach and decades of investment, we’re making Stadia a powerful gaming platform for players, developers and YouTube content creators of all sizes,” Google said in a statement. Google has said it provided the platform technology to more than 100 game developers. “The power and accessibility of streaming will give billions unprecedented opportunities to play video games in the future,” Ubisoft CEO Yves Guillemot said. Email “Google reveals new video game streaming platform called Stadia”. Feedback on “Google reveals new video game streaming platform called Stadia”.